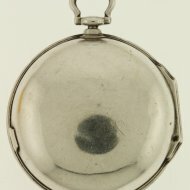 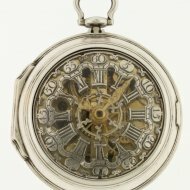 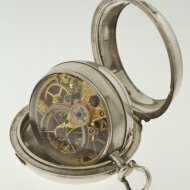 #0890 Antique silver pair cased skeletonised verge pocket watch. 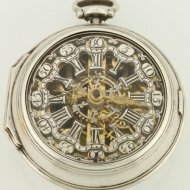 SOLD Antique skeleton watch with dutch style silver skeletonised dial. 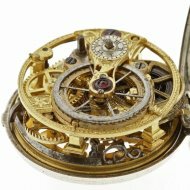 Movement signed: 'Warren 110'. 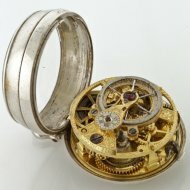 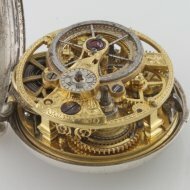 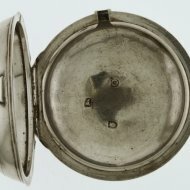 second case hallmarked London 1769. 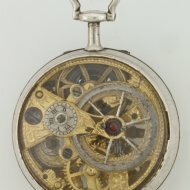 Diameter 48mm.